It’s hardly Golden Boy Promotions’ fault that Lucas Matthysse took a full ten-count on his knee last Saturday night against Viktor Postol at the StubHub Center in Carson, California. Nor is it their fault that Matthysse had to take a difficult styles match-up in Postol in order to compete for the vacant WBC belt. But the whole sad sack affair, right down to Matthysse’s collapse and surrender, was pure Golden Boy in the post-De la Hoya rehab era. Since coming out of his drug stupor and finding that he was basically funding Al Haymon’s rise to power via GBP CEO Richard Schaefer skulduggery, De la Hoya has made one self-destructive move after another. The total mismanagement has, over the course of about one full year, turned boxing’s biggest promotional company into one that is barely treading water and one that may finish 2015 without any true marquee talent whatsoever. De la Hoya entered into the post-Schaefer era of Golden Boy having lost most of his talent to Haymon, but did manage to hold on to a few key figures. 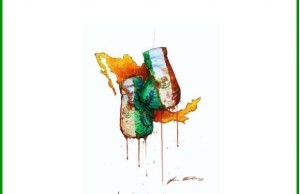 The 24-year-old superstar-in-training Saul “Canelo” Alvarez had remained loyal to the Golden Boy. Bernard Hopkins, who, miraculously, still had one or two salable bouts left in his 50-something body was still on the roster. The heavy-handed Argentine, Matthysse, had opted to stick with GBP rather than join the mass exodus to Haymon Boxing. Then there was junior welterweight prospect Frankie Gomez, who appeared to have finally turned a positive corner in his on again-off again developmental drive. And De la Hoya would reinforce his slimmed-down roster by signing hard-hitting Canadian middleweight David Lemieux, whose good looks and knockout power could easily translate into crossover fan appeal. Piece by piece, though, De la Hoya has sacrificed his few remaining assets at the altar of spite and poor decision making, perhaps in need of quick cash-outs during a rough year. In a case of cutting off his own nose to spite his face, De la Hoya pushed Hopkins from Showtime over to HBO and into a virtually unwinnable bout against Sergey Kovalev. The move served as a flexing of the muscles in the face of Haymon fighter, Adonis Stevenson, who had jumped to Showtime to face Hopkins rather than be forced into a bout with the much more dangerous Kovalev. The Golden Boy power play effectively nullified Stevenson’s rise to prominence and left him in a state of suspended animation with zero options for big fights in the light heavyweight division. But the Golden Boy strategic shifting of network alliances cost them Hopkins as a bankable two-belt titlist after the 50-year-old was dominated over twelve rounds. De la Hoya then signed the newly-acquired and recently title belted David Lemieux into a bout with true middleweight kingpin Gennady Golovkin in what is guaranteed to be a suicide mission on October 17. Pay no heed to the desperate spin from publicists working overtime to sell a Boxing After Dark feature as a pay-per-view event. This will be a one-round brain scrambler that will remove Lemieux from the main stage and send him back to being a regional French-Canadian club filler. Golden Boy’s brightest star, Saul Alvarez, will likely thrash and throttle Miguel Cotto when they meet November 21, but Cotto is good enough to flip the script and send Canelo back to superhero training camp. Alvarez-Cotto is a big money fight- one which Golden Boy surely needs at this point– but if reports are true, they are getting the short end of the financial deal and risking everything with this calculated gamble. 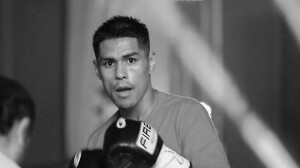 By the end of 2015, De la Hoya could be dragging behind him a roster of damaged goods and rebuilding projects with only a once again malaise-ridden Frankie Gomez and a handful of young fighters leading the way to the new year. 2015 should’ve been a rebuilding year for Golden Boy, one where the business is secured and plans are put into place for the future. Instead, De la Hoya, in a desperate need to pad his bank account and fulfill some bizarre-if-true stab at boxing brotherhood among promoters, has allowed his competitors to use up his assets to their greater benefit. Ironically, 2015 will go down as the year Golden Boy helped everyone in the business get ahead, except themselves. 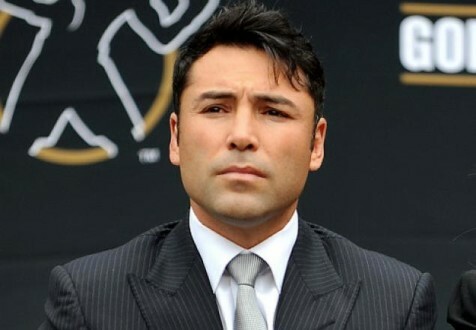 When the dust settles on a pretty bad year, Main Events, K2, Top Rank, and, of course, Haymon Boxing, will all have benefited from Oscar De la Hoya’s earnest miscalculations and honest mistakes. Could 2016 see the final nail driven into Oscar’s Golden coffin?